Our house was on the market last year for 9 long months . We had a lot of showings, but no offers. We ended up signing with a new agent this year and he suggested we have our rooms painted and staged before putting it back on the market this spring. The problem is, we absolutely hate what the stager has done! Our home has lost all of its personality and just looks like a big old empty white box! It feels so sterile and naked to us now. Our Realtor recommended her, so we are not quite sure how to tell him that we are not at all happy with the changes she’s made. He thinks our house looks great now and so do our neighbors, but it makes me want to cry! What should we do? Sorry to hear you are so unhappy. I’m sure that was not the Realtor or stager’s intention. However, I’m also assuming since the stager you chose was based on your Realtor’s suggestion, he has likely worked with her in the past to some degree of success, or is at the very least confidant in her abilities. 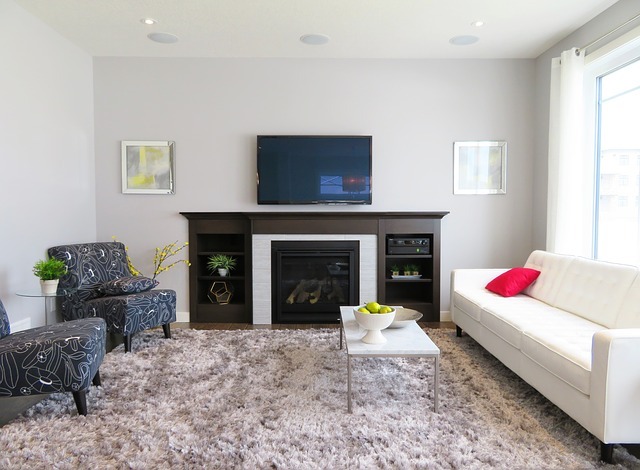 The objective of staging a home for market is to show off the house itself, not to showcase your design style or possessions and I’m sure that’s the approach your stager used when getting your home ready to sell. I know the changes made might seem quite shocking and probably not at all how you envisioned your home to be. But your house is now a product, and you want that product to appeal to as many potential buyers as possible. If you’re already getting positive feedback from both your agent and your neighbors, I would suggest you grin and bear it as likely the feedback will be equally as positive from potential buyers. And the more potential buyers who think your listing looks great, the more chances you will have to garner an offer. Think about those 9 months your house sat on the market last year. Wasn’t that a drag? Your new agent seems to be moving you in the right direction. I think you have to look at the bigger picture here and consider the end-goal which is to finally get an offer, sell your house, and move on. Hope this helps and wishing you all the best!